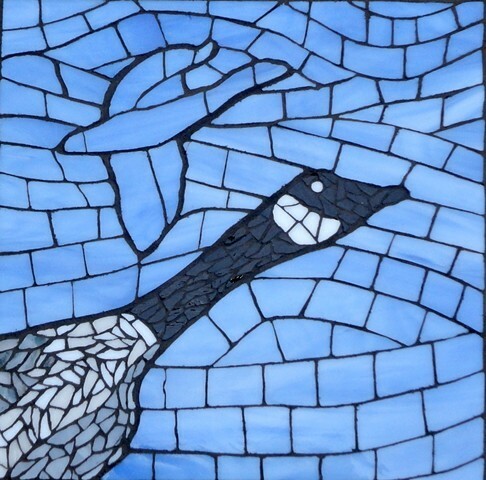 The blue Canada Goose was first in my short series on the same image, different colours. From the arriving spring migration when we will see hundreds of these large geese settled on a pond (especially in Southern Alberta, but also daily overhead at home), until autumn frosts arrive and we hear the same geese and their new offspring flying overhead to their winter homes, their constant chorus of honking makes us pay attention. I marvel at their faithful migration habits, as though following an invisible ancestor off their wing-tip. Sold.